Solid tumbled units pre-split for quick and cost-effective construction. All 90mm (3.54") and 135mm (5.31") units have a depth of 260mm (10.24"). 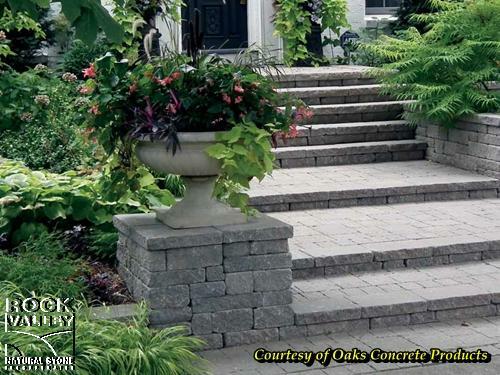 Create a variety of garden walls, planters, steps or entrance pillars in linear or random patterns. Built-in rear retention lip provides ultimate stability. All 90mm (3.54") and 135mm (5.31") units can be installed vertically as jumper blocks.